"Food Chains" tells the dramatic story of an intrepid group of mostly immigrant tomato pickers from Southern Florida as they demand justice from the $4 trillion global supermarket industry and fight to improve working conditions. Dr. Marcela Ochoa-Shivapour of Cornell College presents episode 5 of Latino Americans: 500 Years of History along with lecture, presentation and discussion. Join in Storytime fun as we celebrate Latino books, music and culture. Únete a la diversión en celebracion de los libros Latinos Americanos, la música y la cultura. Featuring traditional tales told by master storyteller Darrin Crow. Join documentary film director Luis Argueta to view his film "abUSed" and have an opportunity to ask questions and discuss this important film. 6:30 pm at Iowa City Campus, Kirkwood Community College. 1816 Lower Muscatine Rd. 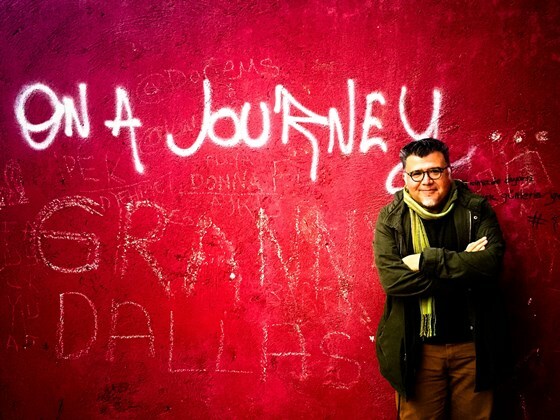 Join documentary film director Luis Argueta to view the 2nd film in his trilogy, "ABRAZOS", and have an opportunity to ask questions and discuss this important film. 9:00am, and continuing public exhibit at Iowa City Campus, Kirkwood Community College. 1816 Lower Muscatine Road, North entrance. Local artist Carlos Maldonado will recreate one of his own paintings as a spray paint mural on the exterior wall of Kirkwood's Iowa City campus. Called "Mexican Brain Deer", the work is Maldonado's own contemporary vision inspired by the Huichol art of his ancestors. More information available on the artist's website. Dr. Vaquera will read from his recently published collection of short stories, One Day I'll Tell You the Things I've Seen. 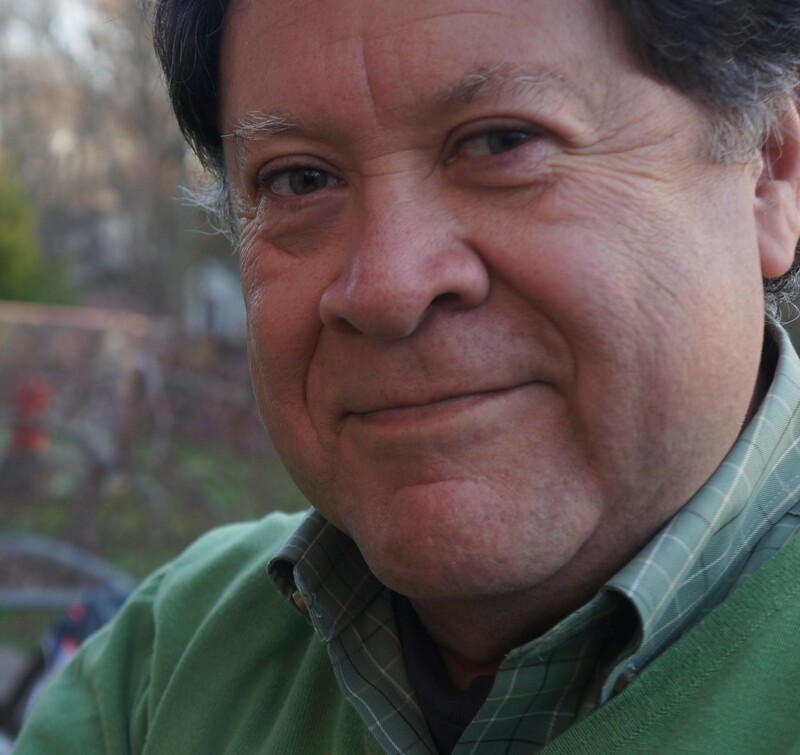 Join Dr. Vaquera along with Kirkwood students and faculty to discuss his recent short story collection, One Day I'll Tell You the Things I've Seen. A screening of episode 5 of the PBS documentary "Latino Americans: 500 Years of History. Peril and Promise", followed by a lecture and discussion led by Dr. Santiago Vaquera-Vasquez of the University of New Mexico. A workshop open to all. This program will showcase the Mujeres Latinas collection at the Iowa Women's Archives in the University of Iowa Main Library, and show how to contribute stories or artifacts to the archives. "Despite their significant presence in Iowa, Latinas remain largely invisible in our state’s history due to the lack of historical documents available to researchers. 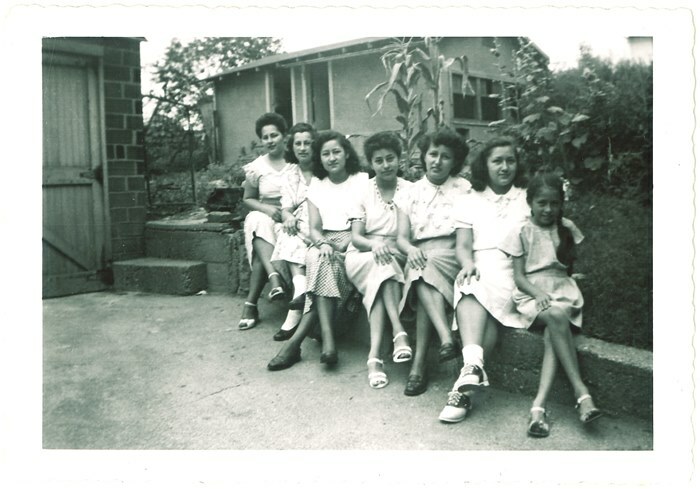 The Mujeres Latinas Project of the Iowa Women’s Archives has been established to collect and preserve materials which document the lives and contributions of Latinas and their families to Iowa history." Kirkwood Community College's Iowa City Campus has been awarded a grant jointly from NEH and ALA in support of programming that raises awareness of Latino American history and culture. We will continue to update this page with information and events related to this grant and related to current issues that involve or impact Latino Americans.